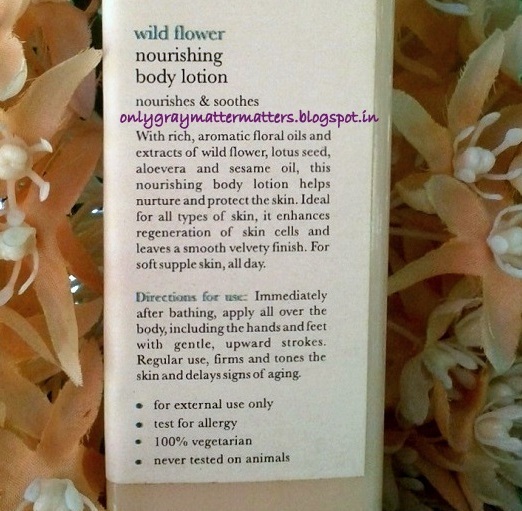 This is a review of Iraya Wild Flower Nourishing Body Lotion for normal to dry skin. It is the most exotic smelling body lotion I have ever used in my life and the best part is that the fragrance comes from natural flower extracts. Once applied after bath, the fragrance stays on your skin till 24 hours, can you believe that? 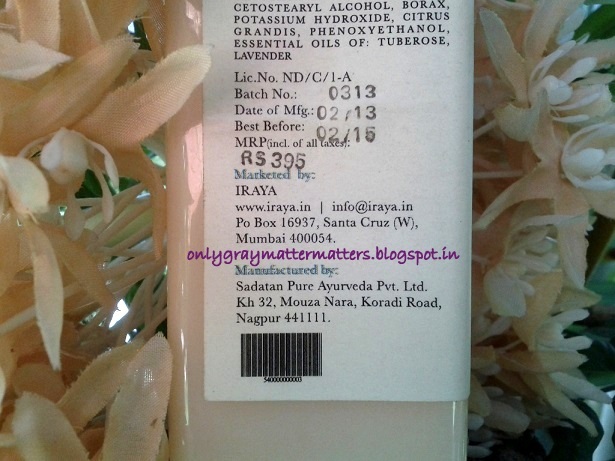 Availability: You can buy Iraya Wildflower nourishing body lotion from these links: nykaa.com, amazon.in, jabong.com, flipkart.com, snapdeal.com etc. 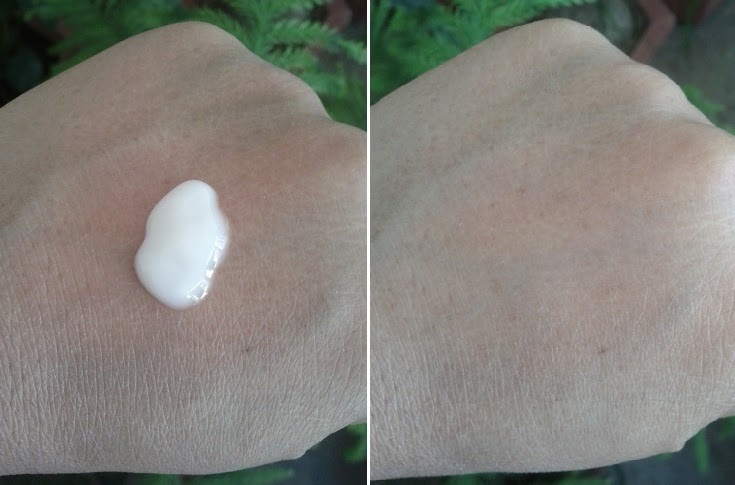 The lotion comes in a square transparent pump bottle. The pump is lockable but during travelling, you may need to seal it carefully with a tape. Mine had leaked during transit even though it was laminated and further sealed with bubble sheet. The packing should have had a cap to make it more travel friendly. 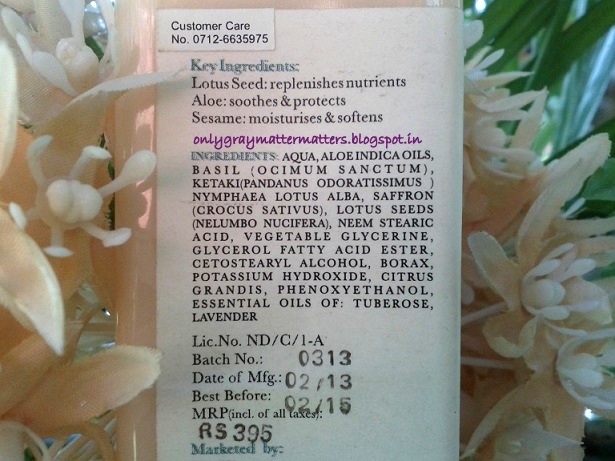 The extract of Ketaki or Panadus Odoratissimus flower along with tuberose and lavender essential oils is what gives such exotic fragrance to this lotion. 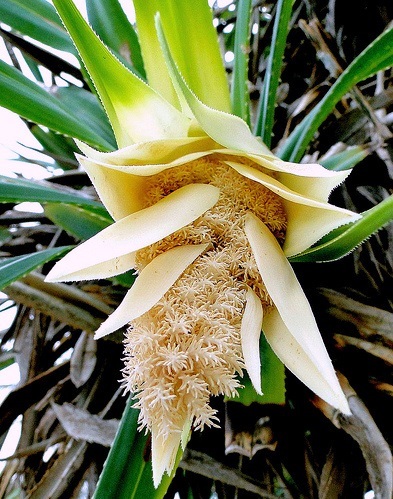 Ketaki is commonly known as Kewra or Keora and its extract is mainly used to make perfumes, attars and also used in food and sharbats. I had heard of Kewra as an ingredient in sweets but was oblivious to its heavenly fragrance. 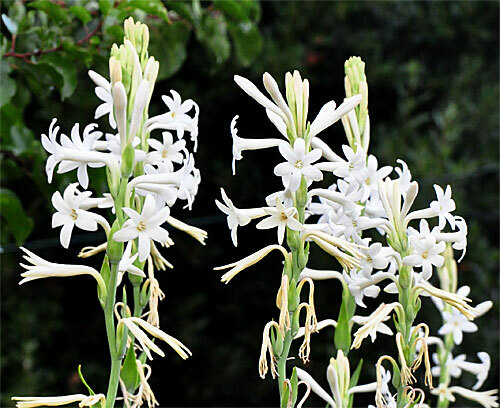 And tuberose is again a VERY fragrant flower. You can also smell a little bit of tulsi (basil/ ocimum sanctum) in this lotion. 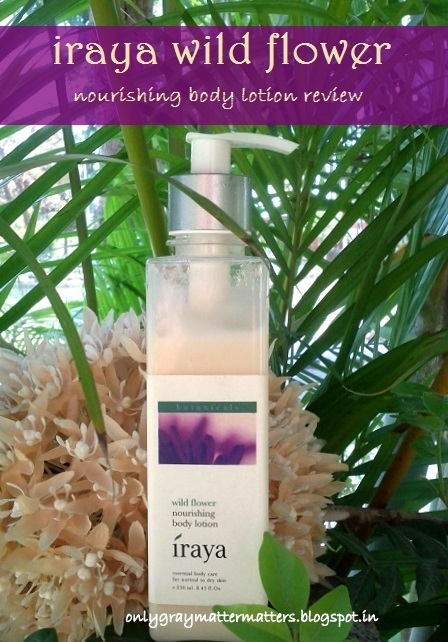 Iraya Wild Flower body lotion is an extremely light weight formula that is perfect for summers. 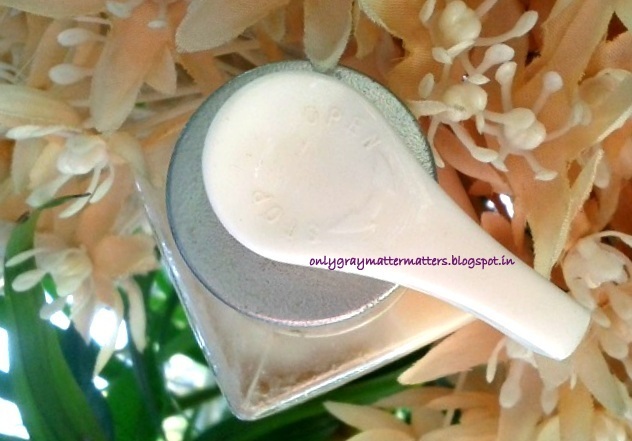 It is a beige colored lotion, neither too thick nor too runny and spreads easily. I need a small quantity of it to just form a single layer on the skin. When I applied it the first time, I thought it is so light, it may not moisturize my skin. But it proved me wrong. Right: Hand after lotion absorption and running a nail test. No shine. But my hand smells exotic and feels soooo soft while I am typing this. The moment you apply, it gets instantly absorbed leaving the skin bright and nourished, and there is not even a hint of shine or stickiness. There are many body lotions that just sit on the skin and wash out with the first contact with water but this lotion just disappears into the skin in a second. At times our nose becomes immune to a fragrance after a few hours but others can still smell it on us. When I get up the next morning, I can still smell it on my skin up to 24 hours, which really impressed me. There are several fragrance notes in this lotion. The fragrance is exotic yet not at all heady or over the top. It will appeal even to sensitive noses. Even though the bottle says it is for normal to dry skin, I think it is quite perfect for oily skinned people too as there is no oiliness at all. I am someone whose hands remain chapped and skin remains thirsty even in summers and I get cuts within one wash of using a liquid soap. I am surprised this body lotion works so well for such dry skin. I apply just once after bath and no need to reapply, except for my hands. There is not a hint of burning on damaged skin. If there is any itching on the skin after bathing, this lotion soothes it like magic. There's something very different and satisfying about it, which makes my skin extremely happy whenever I use it. The quantity is less as compared to other body lotions in the market and price is on the higher side, but it is totally worth it. It supercedes many premium personal care brands. It may not provide sun protection as it is made up of natural ingredients but it is definitely a luxury worth indulging in at night or after bath. Disclaimer: I don't own the tuberose and kewra flower images. I have algae serum and its lovely too. Will try this next! And yes, fragrance is definitely an Iraya USP!! I don't have access to any such stores anymore dear and when I had access, I was oblivious :) You got some 'products' and I am wowed since you mentioned all of them smell that good! This is the first time I have tried a product from them and I definitely love this body lotion. There IS something about it that leaves my every thirsty dry skin so satisfied after I apply it post bath. quite appealing review, dear Gagan!! its good to know details of ingrediants as well. i've not yet tried any of Iraya products, but feeling tempted to try some of them. Thanks for the great review. Will try it soon. Seems to be a good product. Yes, it is indeed a great lotion Bidisha. 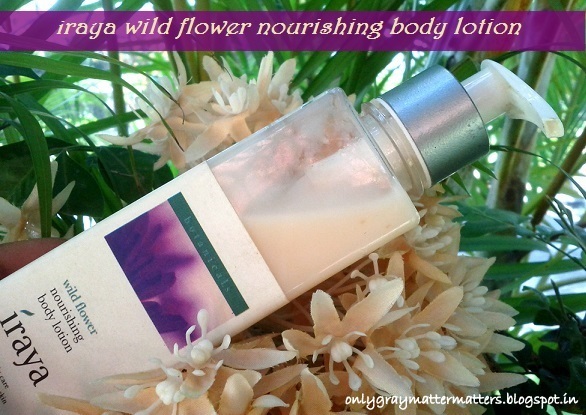 I love this Iraya Wild Flower Nourishing Body Lotion, it gives my skin glow and freshness. Great to know that you have already tried it Tazyeen and I agree on your feedback. Wow Sneha, so you too have tried their products. 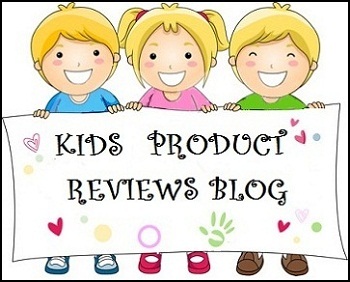 I would really love to explore this brand more after hearing such good feedback. I saw the Iraya store in a mall nearby and was so intrigued!! Your post made me wanna go out and get one of these! Dear Pooja, I checked online and could not find a store that sells Iraya products there. But this lotion is easily available online and you can buy from Flipkart.com, jabong.com or use the discount coupon mentioned above to buy from joybynature.com. Let me knw if you need help in placing an order online and I will be happy to guide. I have been looking for a product with lavender fragrance and when you reviewed it I was very tempted to buy it. recently there was a 25% discount on all products at nykaa.com and I purchased this lotion. it's very nice for summers, doesn't make the skin oily and moisturises it well. Thanks for the helpful review as always. 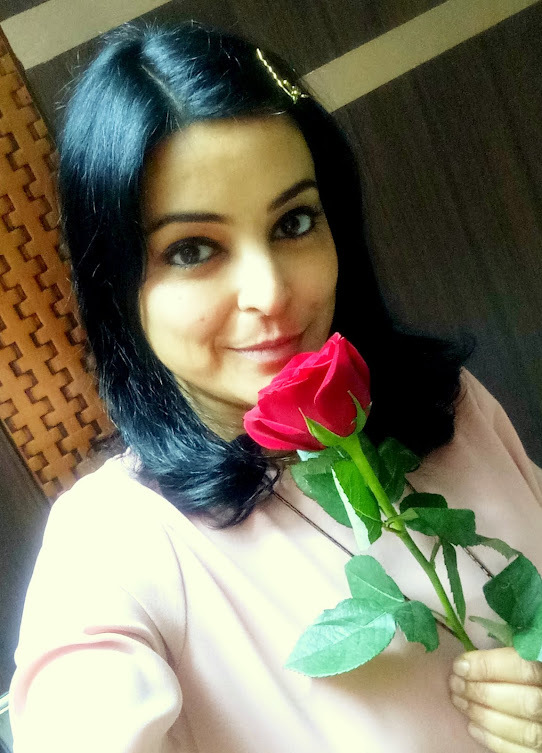 I am very happy you liked it Jyotika. And I remember you recently told me you found the fragrance strong. You gotta shake the bottle every time for the oils and extracts etc to mix properly and that ways the fragrance is just right and truly exotic. I am about to finish it and want to repurchase :) Thanks for sharing your feedback dear. This sounds really good. I have tried many body lotions but am yet to find one that works for my thirsty skin and is light as well. Also has a floral smell to boot! Would love to try his out. I love this one too Ranjana. You can buy from Jabong.com during their weekend sale on Sat and Sun. Purplle.com also had a one+one on this a couple weeks ago and check out nykaa.com too. I got it, Gaganpreet. Thank you for introducing this product....it's definitely a keeper. And the smell.! Oh, it's divine. Thanks so much for the feedback Ranjana :) I wanted to repurchase it but as winters are approaching, I will buy it again next year now. But I have tried a few more products from Iraya by now and this one smells and feels the best. It does smell divine :) so much so that I now want to buy kewra extract and add it to other products.